McLaren Future Grand Prix Concept Is Integrated with AI Technology - AutoReportNG "AutoReportNG-The No 1 Car Blog In Nigeria That You Can Trust - AutoReportNG"
McLaren Future Grand Pix project is a vision not just for new set of regulations for 2021, but for motorsport 30 years in the future. 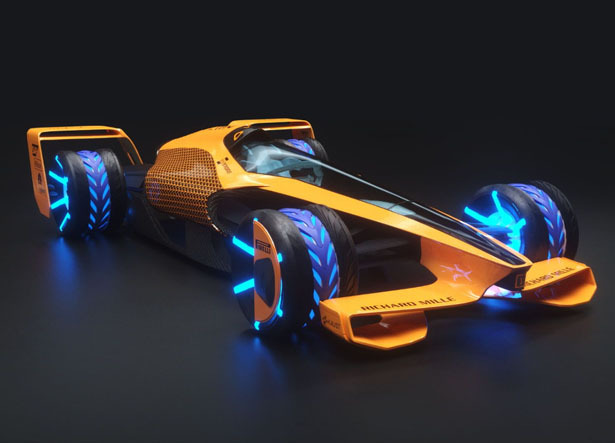 This racing car concept is fully electric with shape-shifting feature to circuits, including banked corners and zones for inductive charging. 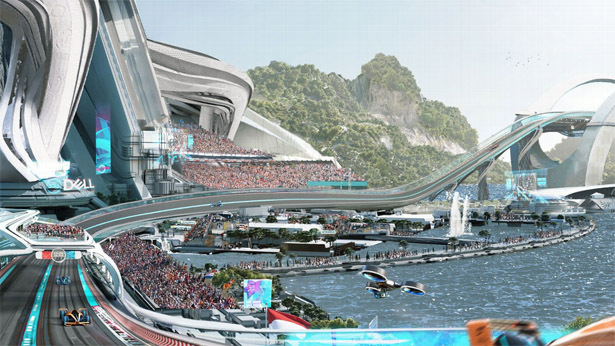 This project is the result of extensive research through talking to fans, MA, and PhD students, the design team wants to understand how future technologies can help shape and enhance the world of grand prix racing. The implementation of an electric powertrain would be inevitable, in the future, emission laws would become tighter, thus, resulting petrol and diesel cars to become phased out. The key design McLaren Future Grand Pix is energy storage and recharging, this concept car absorbs power from the circuit through inductive resonant coupling. In order to get active aerodynamic for better efficiency while retaining grip in the corners, the focus was put on underflow aerodynamics while the skin of the car would be able to shape-shift to suit the downforce trade-off required. McLaren Future Grand Pix still follows the traditions of sport where this car would remain open wheeled and rear-wheel drive. According to ESPN, McLaren also predicts that AI technology also plays an important part of future Grand Prix racing, the team has envisioned onboard AI systems that help driver during the race, it’ll also become a major technological battleground between teams. This technology doesn’t sacrifice human element in the racing, there will be black-out zones when the driver has to operate the car on their own.